Choisya x dewitteana 'White Dazzler' is a neater version of the ever-popular Choisya 'Aztec Pearl'. It is an evergreen shrub with aromatic, deeply divided leaves. In late spring, the plant is covered in masses of fragrant star-shaped white flowers, often with a second flush of flowers in late summer. 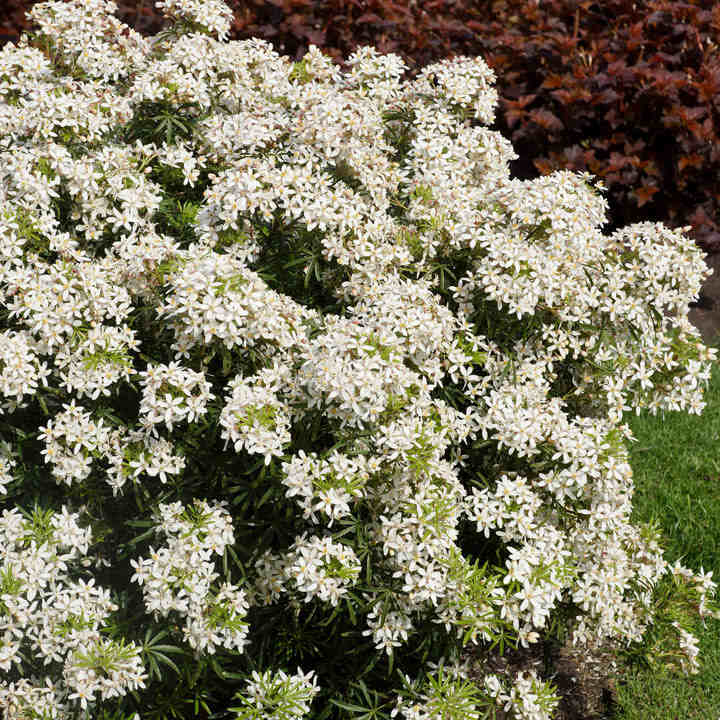 White Dazzler is a variety of Choisya particularly selected for the numbers of flowers it produces. It prefers full sun, but will cope with some light shade. Ideal for adding evergreen structure to the garden. Height 90-100cm. Supplied in a 7.5-10 litre pot. Choisya x dewitteana 'White Dazzler' is a neater version of the ever-popular Choisya 'Aztec Pearl'. It is an evergreen shrub with aromatic, deeply divided leaves. In late spring, the plant is covered in masses of fragrant star-shaped white flowers, often with a second flush of flowers in late summer. White Dazzler is a variety of Choisya particularly selected for the numbers of flowers it produces. It prefers full sun, but will cope with some light shade. Ideal for adding evergreen structure to the garden. Height 90-100cm. Supplied in a 3 litre pot or 7.5-10 litre pot.